Cortableau drinks from the "well". 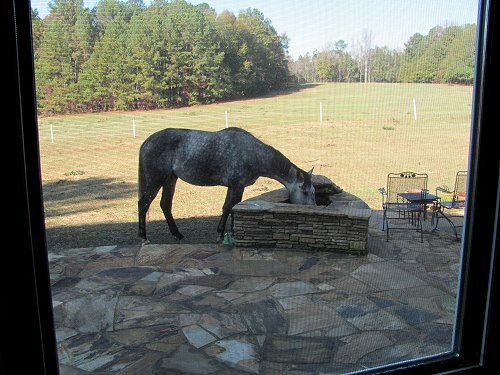 I just had to grab this picture of “Cor” drinking out of our upscale water trough. Yours are like that, aren’t they? I hope you had a great Thanksgiving. I get to try my new saddle today! Have a great day!